This third entry in the Time Agents/Ross Murdock series was not as good as the previous two. The main reason was not the writing, but the premise on which the adventure starts. 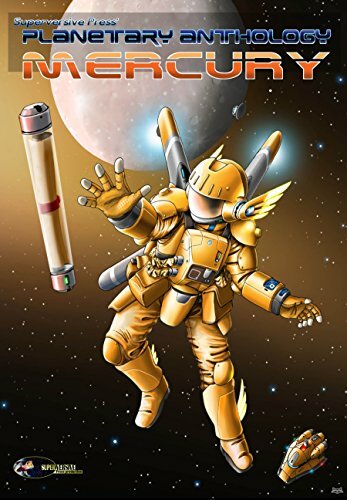 Travis Fox, a time agent recruit of Apache heritage – who was a main character in the last book in the series – is supposed to be a volunteer on a colonizing mission to the planet Topaz. He and several others with historically nomadic or naturalistic ethnic backgrounds are specifically selected by the American government for settling this planet because… well, it’s a frontier? See, this is where the logic fails. The author wanted a story about Native American interplanetary settlers…so, reasons were found… just not very good ones. Supposedly, they were being regressed so they would have a better chance at survival. They even had a special machine as a backup plan that would allow them to mentally live out the lives of their ancestors somehow (as preparation for survival on the new planet?) This ends up being used (last resort) when their ship is shot down by the Russians who have beaten them to the planet. Side note: this is 18 months after they got the spaceship from the last book back to Earth. Somehow in that time, they let the whole world share in their knowledge (which they could have kept totally secret and would have during the real Cold War). And, they (and the Russians and others) have managed to reverse engineer it and build working copies. So, back to the Topaz thing…. well, the Russians imported their own natives (Mongols) but being very bad people, the Russians are using mind control to make them slaves. sigh Why? It’s just dumb. So, you may be able to see my problems with the book. But… set aside nonsense (if you can) and the story becomes one of low tech vs high tech. Oh, and I forgot to mention the telepathic coyotes… they’re pretty cool. And there’s some alien stuff in there too. The writing is fine, and the characters are understandable, maybe even relate-able at times. In summary, the book isn’t bad, but it’s not all that good. I hope the next in the series is better. So, only two stars, and I call this one a Confusing Premise Read.